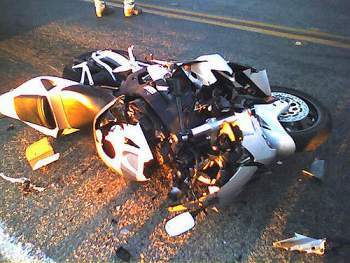 Motorcycle accidents are considered more dangerous than motor vehicles. They result in severe injuries and in worse case scenarios, they can be fatal. A motorcycle accident is mostly caused by careless motor drivers who have no regards for bikers. If you or a loved one have been caused to be involved in a motorcycle accident, it’s in your best interest to let a professional legal body help you get compensation for the trauma, pain, distress you’ve suffered from the injuries and the aftermath of the accident like a loss of job if you were laid off or the psychological effects it caused you. Rawa Law Group is a finesse law firm with some of the finest personal injury lawyers in the state of California. We are willing and capable of taking up your case, assigning a qualified motorcycle accident attorney in Buena Park, CA to you to help get all the required information to get you some good settlement as stipulated by law. Our motorcycle accident attorneys can come around to your home or office if you’ve got a tight schedule and are happy to clear the air regarding any questions you may have. We have a combined experience of about 50 years in our law firm and we have been consistently helping clients seek a settlement from all types of personal injury cases. If you need a motorcycle accident attorney that is personable and sympathetic for the injured to help fight for you, then you need to get in touch with Rawa Law Group. Give us a call today.